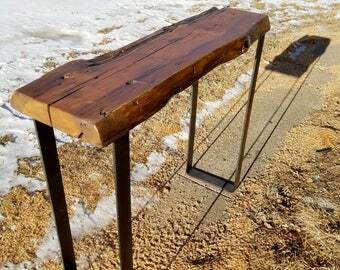 These end scraps result when cutting down a longer board for a custom length console table. They are the genuine article from century old barns and cabins in the upper midwest and loaded with character in the way of knot holes, fissures, bark, and worm lacings. 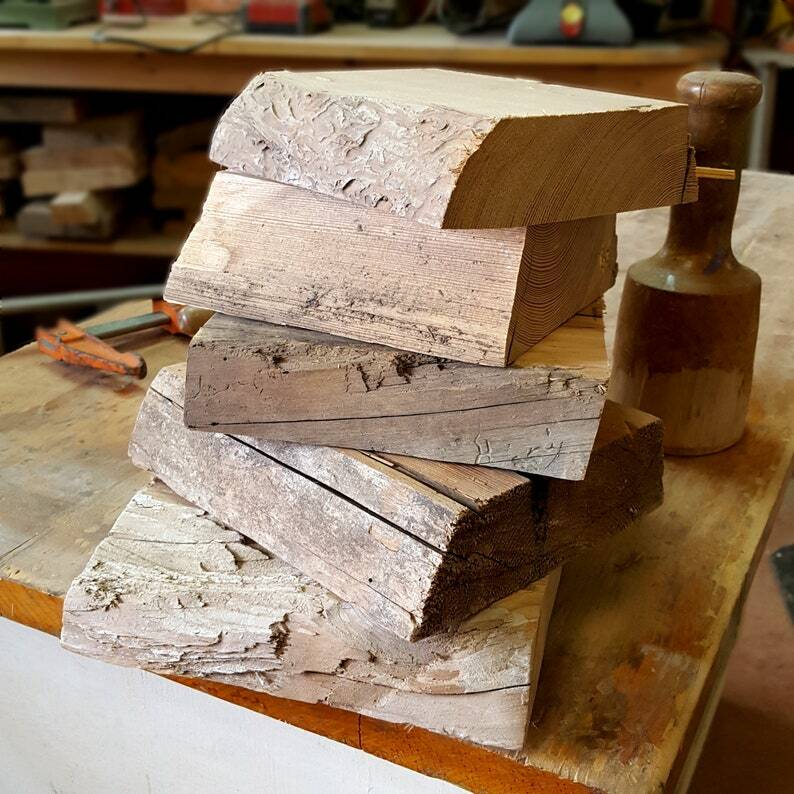 Wood is in its raw state and ready to be transformed into something beautiful. Do see our table and shelf listings for an idea of what these pieces can look like when finished. You will receive 5 boards varying from 7"- 9" in length. Depth varies from 6"-8". Thickness ranges from approximately 1 7/8" to 2 1/4"
Photos depict a sample of what you will receive. Actual pieces will vary. Returns of full orders accepted. No partial returns.